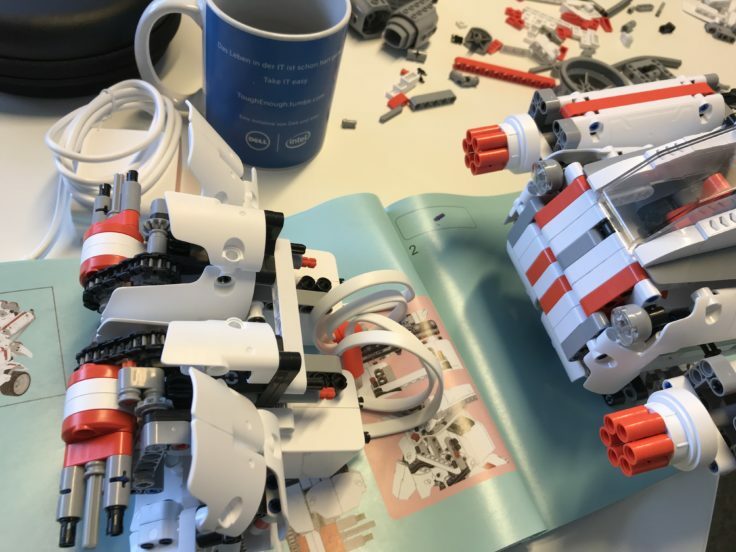 A kit with a programmable motor has long been available from a well-known Danish toy manufacturer, and Xiaomi also wants to get involved in this market. 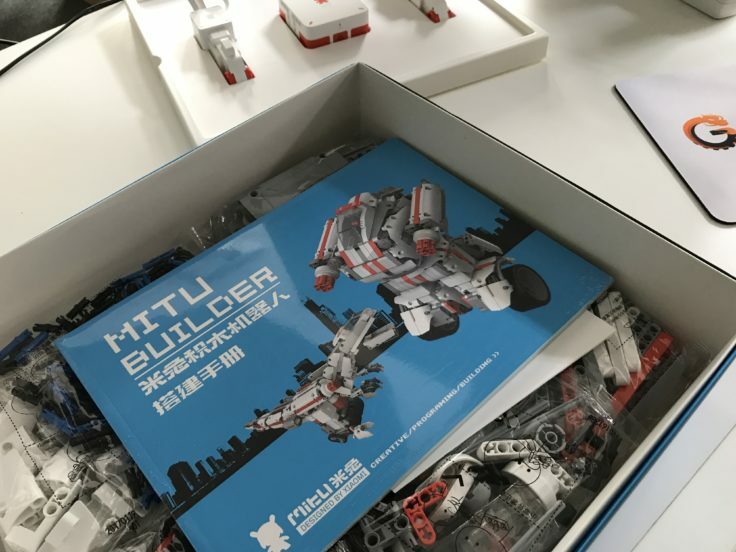 I wouldn’t describe the “Mitu” as a clone (more about that later), but the learning robot industry looks diligently to the left and right to “inspire” itself. My Xiaomi Mitu test ends nevertheless with a rather moderate overall impression. As with all Xiaomi products, there is nothing to complain about when it comes to packaging. It looks quite nice, contained everything we needed, but is completely in Chinese. Floor 1″ of the packaging contains the core, the arithmetic unit and the two motors. 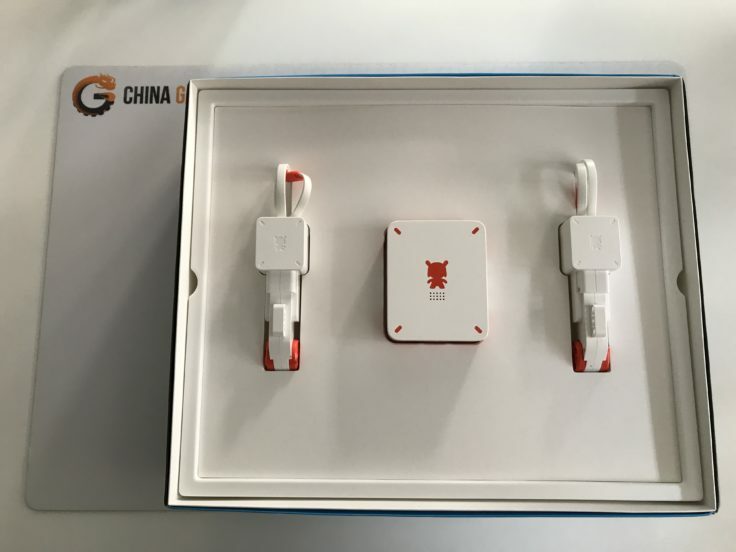 Personally I felt a bit reminded of the Xiaomi MiBand 2, which is similarly inserted into the box. 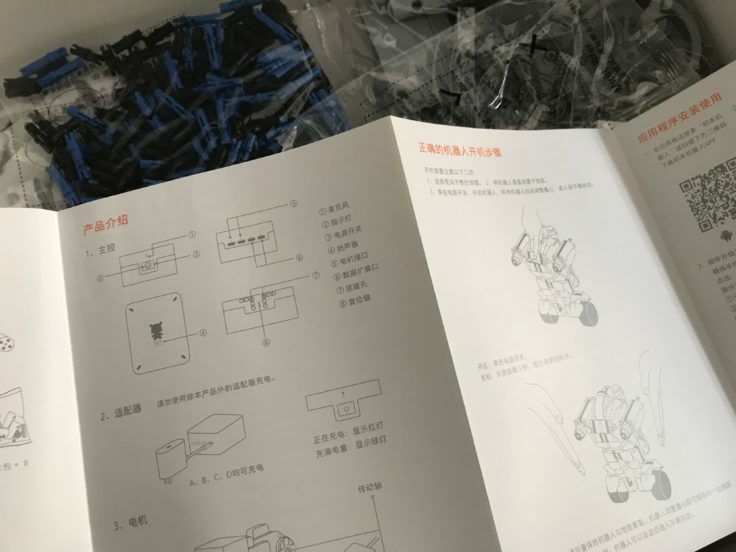 If you lift down the first layer you will find about 10 bags full of individual parts, a brief instruction for the first start and an assembly instruction. Both instructions are in Chinese. It’s a shame with the instructions for the start-up, with the assembly instructions you only “work” with the pictures anyway. 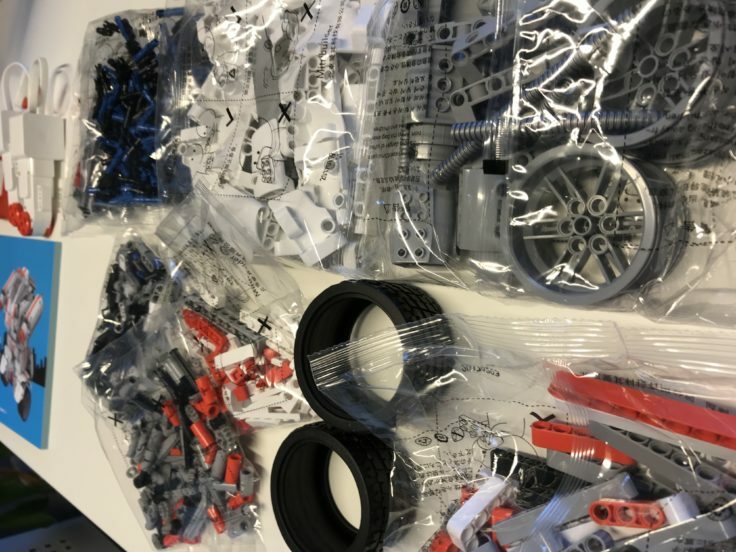 Unfortunately, it turned out during assembly that the contents of the bags are not really all thematically structured according to components, so that you can confidently tear open all bags and tip them into the box. The memory of former children’s room search orgies for the fitting piece. 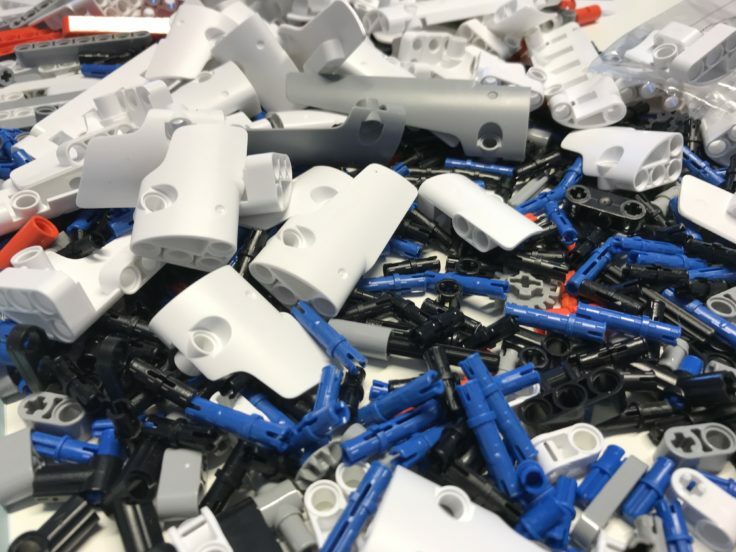 UBTech solves this with the Jimu Robots in a more stylish way: In differently colored boxes, all necessary components for each component are really available. This leads to a faster assembly, but doesn’t make you feel “nostalgic” ;-). So everything tipped into a box and off you go with the assembly! 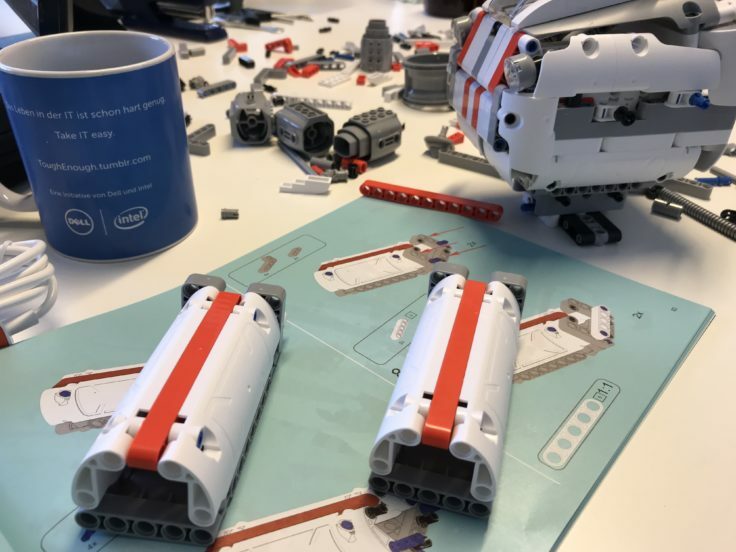 What is immediately noticeable when touching the unpacked components for the first time: the quality is really damn good. We can’t judge whether it comes close to the 0.005 mm promised by Xiaomi, but there are not the smallest protruding edges, processing errors or inaccuracies. As mentioned above, the assembly instructions do not include Chinese (99.x%) and only work with pictures. The diagrams are very good – at no time were the instructions unclear. Also small things were thought of. 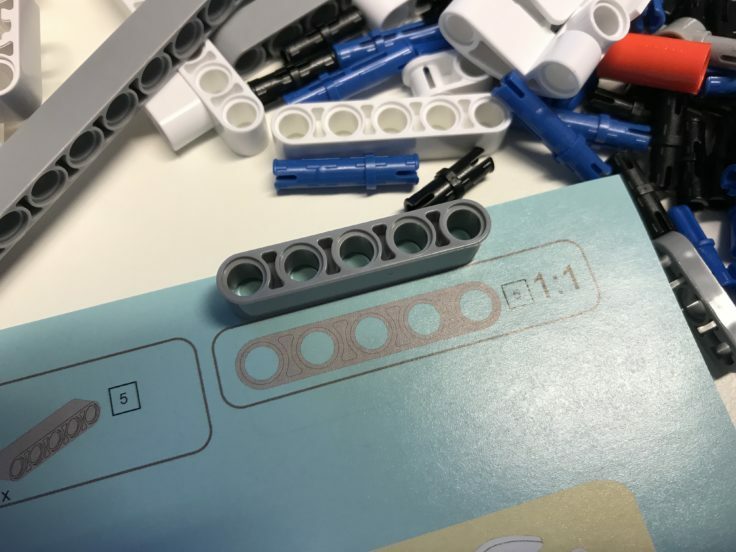 For example, of some components, such as rods, the lengths are shown in the original in the operating instructions – so you only have to place the components on/next to them. So the “hole counting” is cancelled. 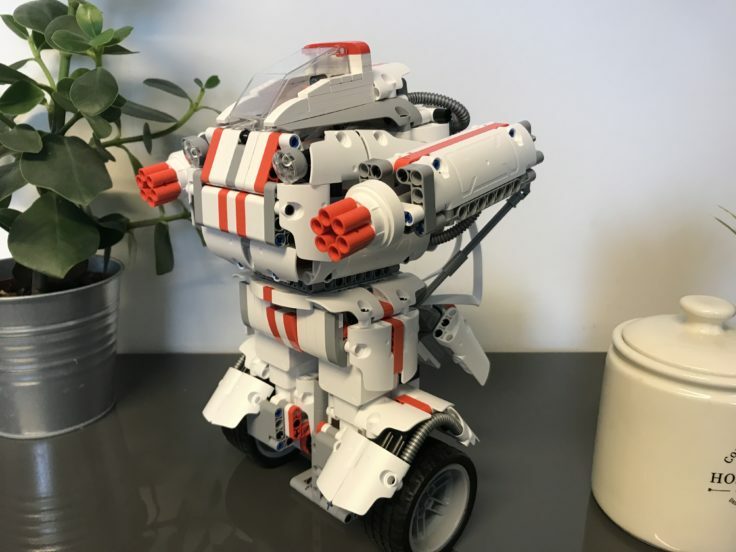 After about four hours the time had come: The Xiaomi Mitu robot was ready. 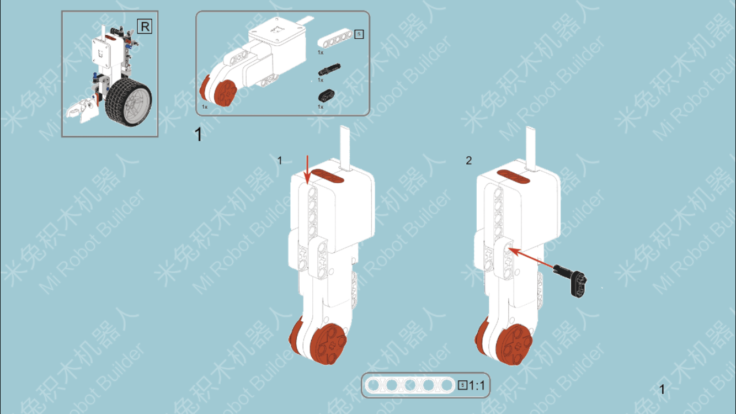 It took me about an hour to set up the Jimu AstroBot Kit, but here 2.5 times the amount of parts is already noticeable. An assembly in one evening requires endurance, or you take more time. But at no time was there boredom or frustration. OK, I admit: I am also a fanboy. The result is definitely something to be proud of. 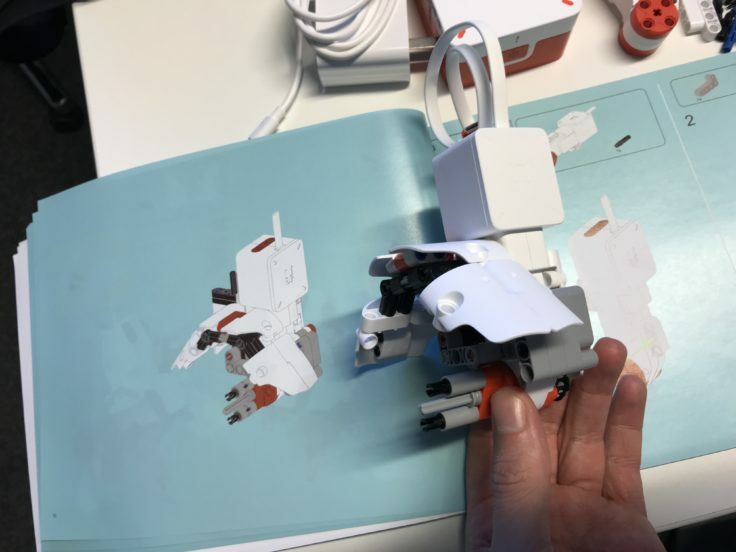 While the AstroBot was an “Awww, cute”, the Xiaomi Mitu is more of a “Yeah, cool thing”. When the robot is off, it is “parked” on a stand. The included Xiaomi power supply with US plug and adapter can be used for charging. If this seems too “rickety” for you, you can of course use your own power supply with USB-C output – a USB hub or PC is also sufficient. The first start? Cool! The Xiaomi Mitu stabilizes itself thanks to a built-in gyro sensor. Will this little technical miracle also be appreciated by a ten-year-old hobbyist? So get the app quickly. If you intend to find the app by searching the appstores: Leave it. For Android the app is not available in the store (Yes, Google vs. Xiaomi), for iOS (iPhone, iPad and iPhone) the app has a Chinese name. By scanning the QR code on the enclosed note (since iOS11 this is also possible with the camera app on Apple f**king finally) you will be forwarded to the corresponding download. 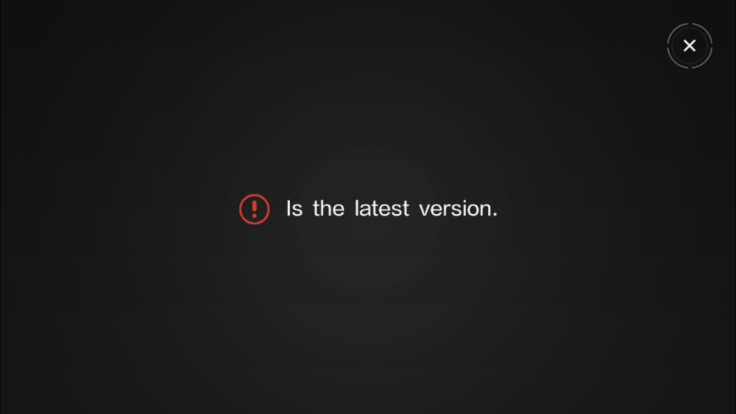 The app starts in landscape format. Unfortunately, as with so many Xiaomi gadgets, you have to register. For this we simply use a spam email address and go on. 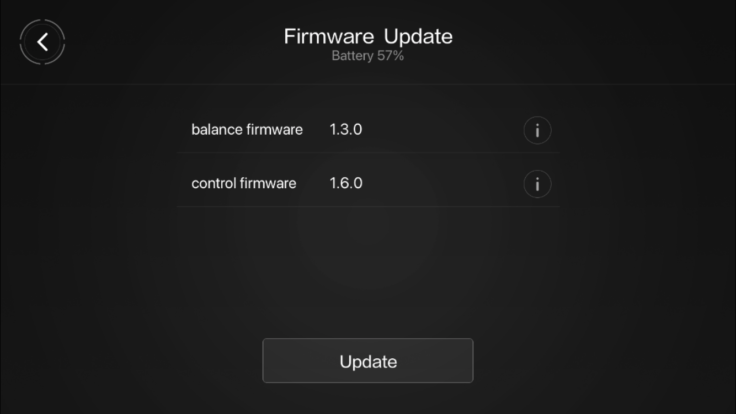 After the smooth connection via Bluetooth I am offered an update. A good sign. Manufacturers who take care of their users provide them with regular updates, even after the product has been released. A good example for me is the Xiaomi Mi Robot. Even after all this time there are still regular updates. 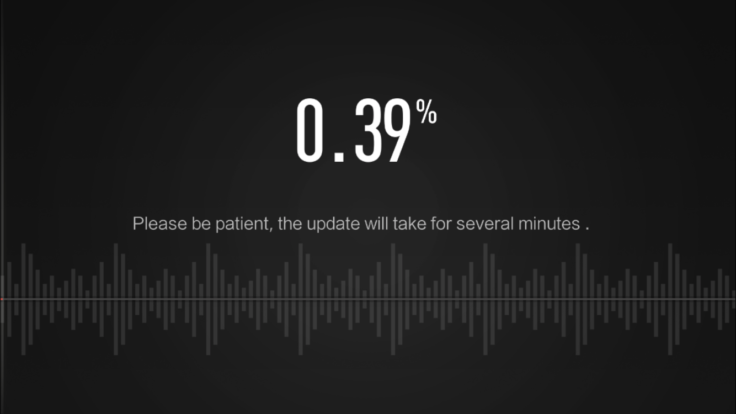 Be prepared for this: The update of the Mitu will take a bit longer. I don’t know what he magically overwrote, but the process took a proud 10 minutes. As with the Android app, the translation into English is good to very good. Every now and then a translation reads a bit bumpy, e.g. the end of the update process. After 10 minutes the update was ready. 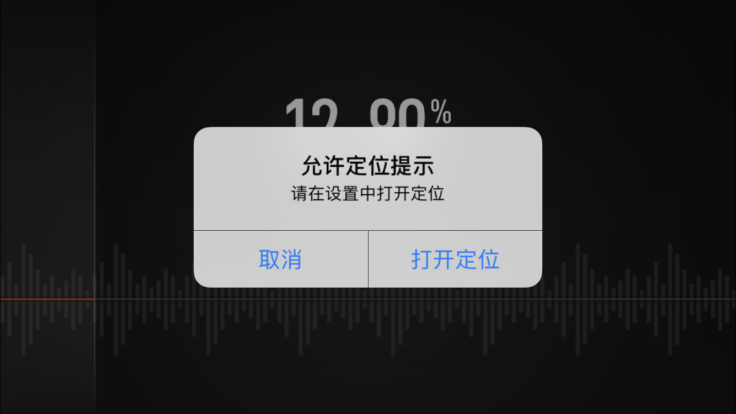 In very rare cases, a message even appeared in Chinese. Here only Trial and Error helped – but there were no problems. Route planning: You wipe a route back and forth on the display, press Play and the robot follows it independently. 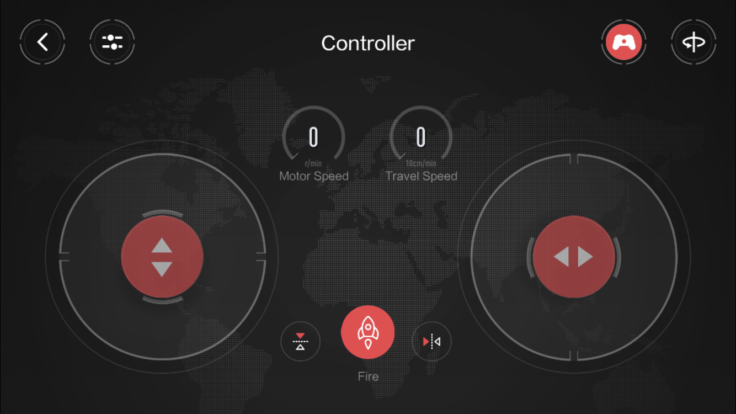 Controller: you have a remote control and can drive the Mitu via Smartphone/Tablet. Voice: Control by voice. Only in English and very rudimentary. 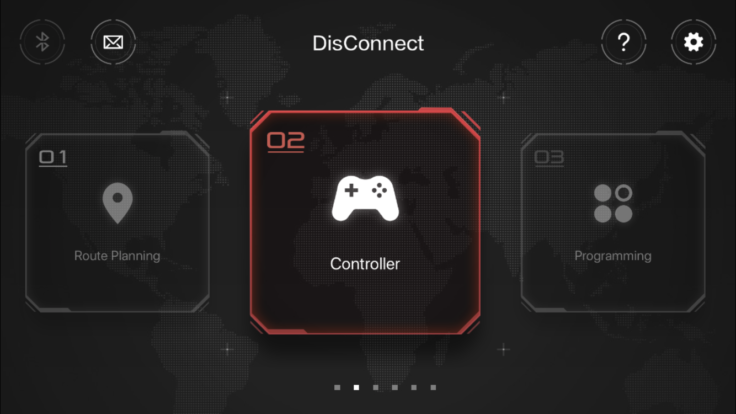 Let’s start with the controller, because it is already preselected. With the controller you can let the Mitu drive through the rooms. In spite of two wheels and gyro stabilization this works very well. Only the speed is … well … it could go faster. In addition, you cannot set your own programmed actions. The built-in “Fire” key causes a playback of poor ” Shootersounds ” in the arithmetic unit. After all: You can also play sounds. Another menu item is the programming. 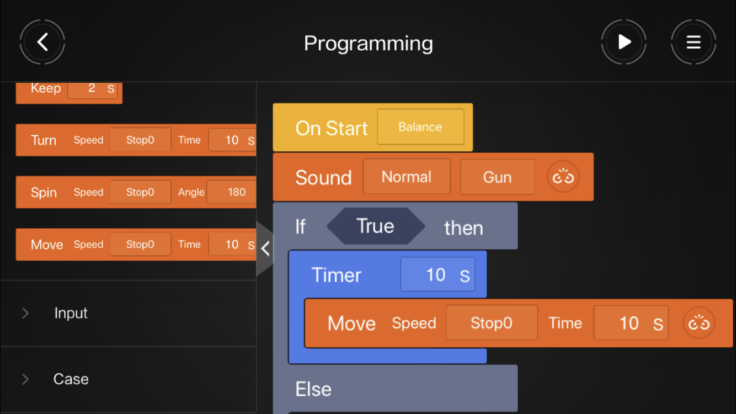 Here you can create and save your own functions. 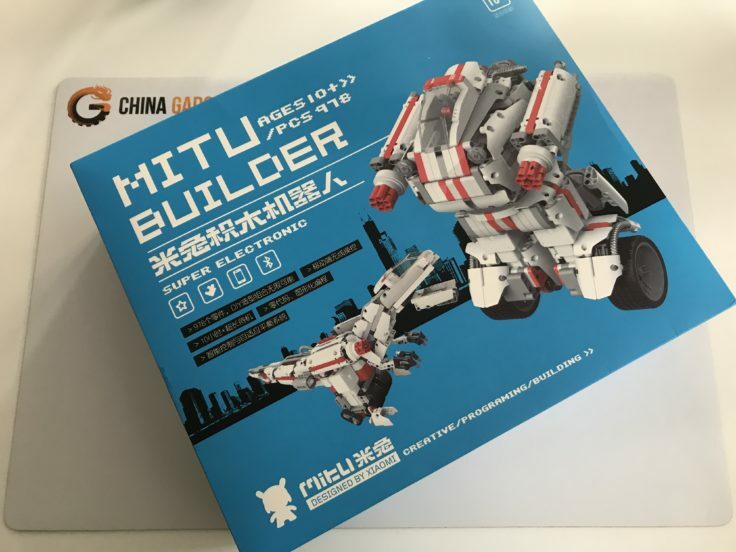 Since the Mitu is rather “stupid” without further bought sensors, it lacks a little bit of input, so that the functional range can not be as large as with the AstroBot. Admittedly: With the AstroBot, the minimum age of 8 was also mercilessly understated. For a ten-year-old, the minimum age according to Xiaomi, this feature set should also be very challenging. Unfortunately, there are no pre-installed scripts to copy from. So you have to start at the very beginning. Another menu item are the assembly instructions. 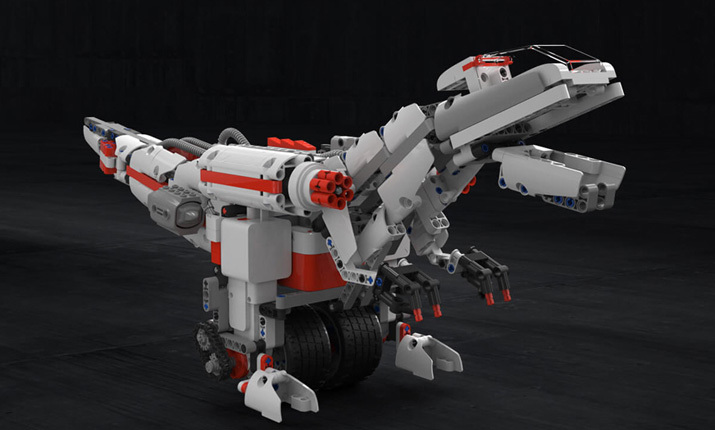 If you don’t want to be creative yourself, you can build the “Rhydon” (dinosaur) and the “OspreyAircraft” (airplane), which are provided by Xiaomi. The assembly instructions are more or less the digital version of the enclosed assembly instructions. Zooming, or even moving three-dimensionally in space is not possible. Nevertheless, the other two models also have something: they definitely look “cool”. The smaller ones of us should be busy with the construction and the different models as definitely long. Honestly, I’m having a hard time with the conclusion. The setup was really fun (good instructions + quality + “cool look”), but after the first switch on the “small” feature set caused some disillusionment. Why? Because I built UBTech’s AstroBot for two weeks. It has much more sensors, the programming can be much more complex (= much more fun for me) – but it costs twice as much. So the comparison is actually unfair. So if you want to get into the topic at a reasonable price … the Xiaomi Mitu can be a great China gadget.